Needlestick injuries are one of the most common risks facing healthcare professionals, but medical sharps are a necessary part of many procedures in a hospital or clinic. 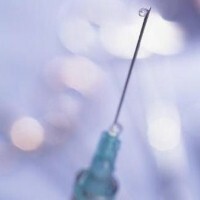 This means that, instead of completely removing the danger, nurses and other professionals have to take the appropriate precautionary measures to minimise the risk of suffering a needlestick injury. A lot of measures to reduce the risk of an injury are related to how the healthcare worker uses the instrument, such as always using safety devices wherever possible, and how they dispose of it. However, having a calm patient can also significantly reduce the risk of either party experiencing a needlestick injury. Having blood taken or being given an injection is an experience that few people enjoy, but some patients can be terrified of having a needle come anywhere near them, especially if the patient is a child. By knowing a number of techniques to be able to reduce stress, discomfort and panic, healthcare workers can help further reduce the risk of suffering an occupational needlestick injury. Although some healthcare workers don't want to scare young patients by telling them that the injection will hurt, it's always best to be honest. Not only will this build trust between them and the patient, but it also reduces the likelihood of them flinching, which can cause the injection to not go as it should. By telling them it will 'just be a small scratch', the child or nervous patient is aware and expecting a small amount of discomfort, so they are less likely to be alarmed when they feel something. Being honest also extends to telling them about the procedure. In some patients, it can be easy to assume that they will know what's about to happen or that they are too young to understand, but every patient benefits from being told what the injection or procedure will entail. This helps relax them and reassure them that there is nothing to be afraid of. Whether you are treating a child or an older patient, most people will benefit from being told options such as 'do you want me to tell you when to look away' or even something as simple as 'which arm would you prefer it in'. This gives them a sense of control over the injection and can help them feel more calm about the whole procedure. This is one of the most commonly used ways of reducing anxiety in hospitals. For younger patients this can be giving them a tablet or toy to distract them during the procedure, while babies can benefit from being nursed during their injections. Young people or teenagers may feel more relaxed if you encourage them to go on their mobile phone or listen to their music. However, the technique can work just as well for older patients who may be nervous about the needle or having blood taken from them. Simply talking to them about mundane things can help take their mind off the injection, which reduces the amount of discomfort they will feel. Distraction can work for just about every patient and it's just about determining what method will help them the most. Even when using these methods, it's still essential that all healthcare workers are prepared. Most patients will tense or flinch at little when the needle pierces their skin and it's important to take the necessary measures to prepare for this. Of course, this includes doing all the preliminary sharps safety measures, such as never reusing needles and making sure you dispose of them properly. This is the single most important thing to reduce your and your patient's risk of suffering a needlestick injury during a procedure.